BETHLEHEM – John Adam Prusinski, 84, of Albany, passed away Tuesday, January 12, 2016 at Our Lady of Mercy Life Center in Guilderland. 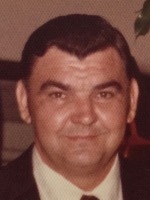 John was born December 15, 1931, in Albany the son of the late Adam Prusinski and Stella Zajkowski Prusinski. He grew up in Albany and was educated there. He owned the Ranch Tavern in Albany, and also was employed for many years by the Albany County Sheriff’s Department, retiring as an Inspector in 1992. He also was a member of the Albany Lodge of Elks #49 for over 50 years. On August 3, 1975, John married his wife Lois Ann Dott Prusinski and they were married until her death in 2004. He was also predeceased by his siblings; Walter Prusinski, Frances Lindemann, Sophie Cordi, Stella Drebitko, Joseph Prusinski, and Pauline “Ginger” Pierce. He is survived by many nieces and nephews and grand nieces and nephews. Funeral services will be held in the Hans Funeral Home, 1088 Western Ave., Albany, Wednesday morning at 9:30 am, and from there to Christ the King Church, Sumpter Ave., Guilderland at 10:30 am. Relatives and friends are invited, and may call at the funeral home Tuesday from 4-7 pm. The parish family of Christ the King Church will gather in the funeral home at 4:30 pm Tuesday for a service of prayer and remembrance. All are welcome. Interment will be in Our Lady of Angels Cemetery, Colonie. The family suggests memorial contributions to Christ the King Church, 20 Sumpter Ave., Albany, NY 12203. To leave a message of condolence for the family or obtain directions to the funeral home, please visit www.HansFuneralHome.com.